You can add Bluetooth capability to an old stereo, a retro mouse, or even your car's cassette deck. If you can think of a device, someone has probably found a way to control it with Bluetooth. This hack is a little different, though. Kai Aras put together a simple guide to adding Bluetooth to just about anything with an infrared receiver. 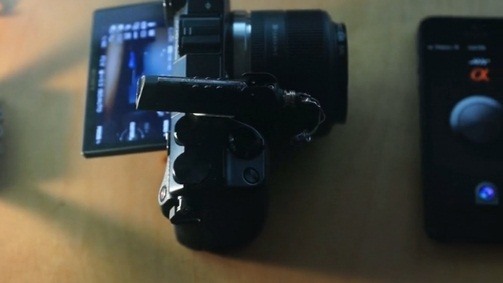 In the video below, you can see him take pictures with his DSLR via Bluetooth using his iPhone and MetaWatch smartwatch. It's actually really easy to do. Kai attached an infrared LED to a Bluetooth headset through the audio output, then mounted the headset to the camera with the LED turned towards camera's infrared receiver. When he has his iPhone play an audio file through the headset, it uses the LED to convert the signal to infrared, which triggers the shutter release. That's all there is to it! Check out the video above to see the trick in action, and you can find more details on Kai's blog.